11p.m. Friday night. Hollywood strip in front of Mann’s Chinese Theater. I’m hanging off the back of a 30 foot camera truck with a Technocrane swinging by overhead. Ryan’s “driving” a vintage Bronco being towed five feet behind us as a car of screaming teens keeps darting into oncoming traffic and pulling up next to him to catch his eye. I’ve got the LAPD in one ear and the A.D. in the other as we prepare to do another take that will match the actions of our previous studio shoot. Total rush!!! The concept was simple. After working on thousands of VFX shots in my career and juggling a hundred times that number of digital elements, I wanted to capture something that looked like a big effect but accomplish it practically. Imagine my delight when message boards lit up with arguments about how the “complicated green screen compositing” was pulled off. Nope, all the “background replacements” you see were accomplished as non-motion controlled match moves and dissolves! 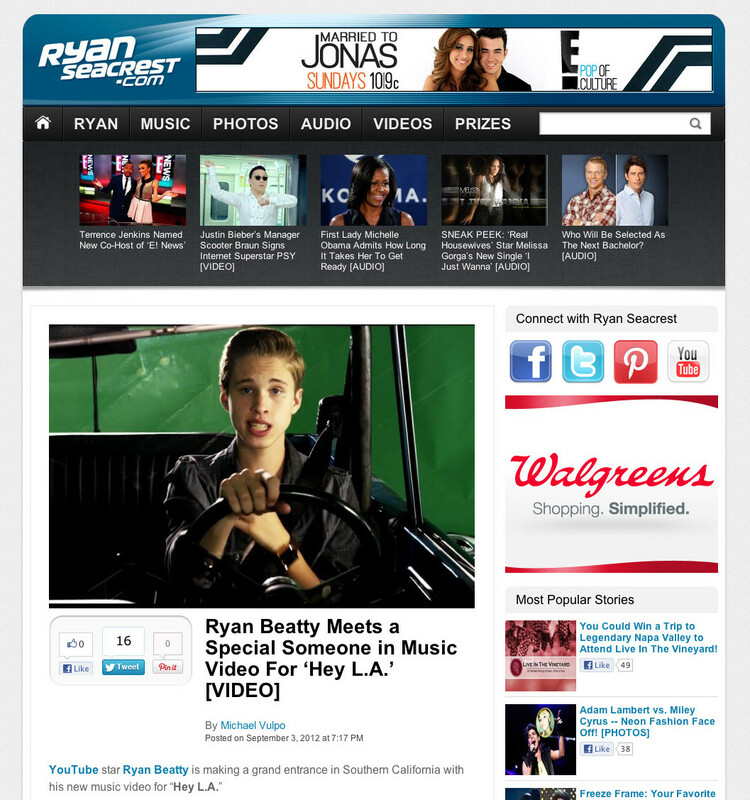 And of course, the transitions from “make-believe” to “real world” served as a perfect backdrop to Ryan’s catchy song about making dreams come true in Los Angeles, the movie capital of the world.